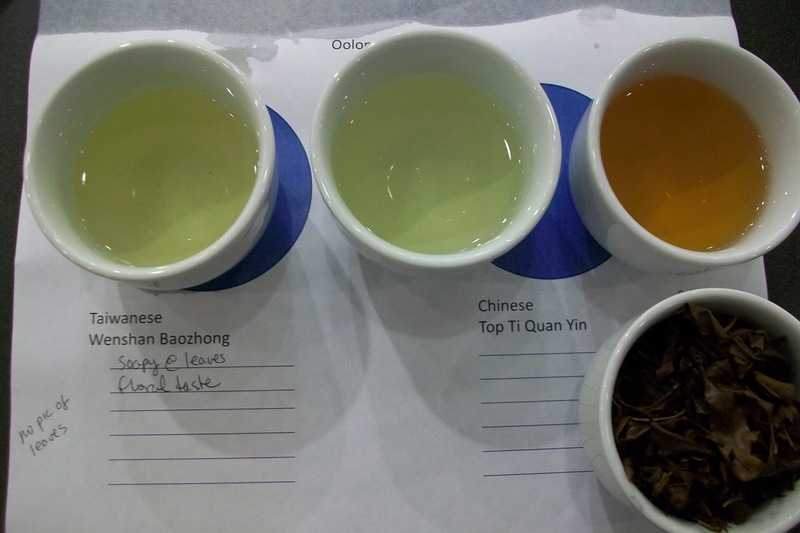 From the title you can guess that this post is about oolongs drunk in Tasting 3 of a recent Harney tea tasting in New York City. 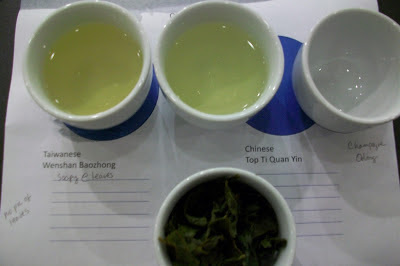 I drank two Taiwanese (Wenshan Baozhong; Champagne Oolong) and one Chinese (Top Ti Quan Yin) oolong. 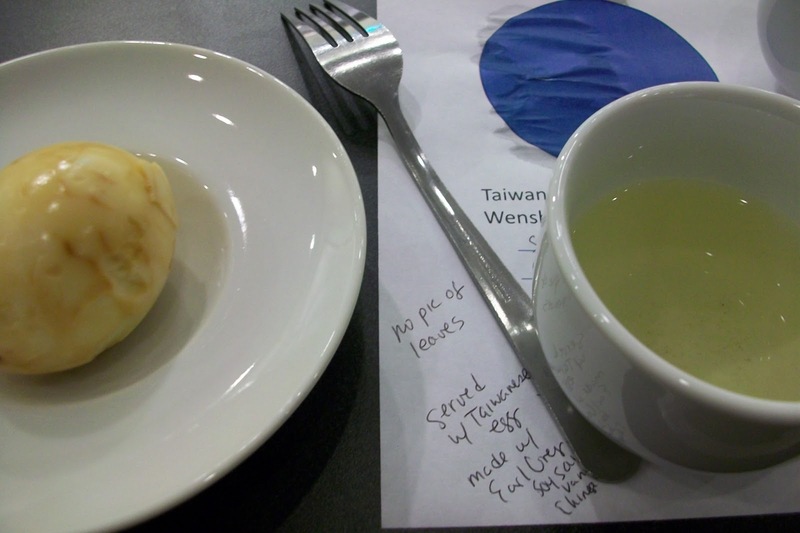 The floral taste of the Wenshan Baozhong became sweet and creamy after eating a Taiwanese egg prepared with Earl Grey (and soy sauce, vanilla, and Chinese five spice). The egg was also a good complement to the Top Ti Quan Yin. Both teas acquired a creamy taste after eating the egg. The second Taiwanese oolong, Champagne Oolong, had a floral nose and an astringent taste. A glass of Dom Ruinart was served at the end of this round of tea tasting. Stay tuned for the final post in the series which will be on British Legacy Teas (Tasting 4, part 2).